I’ve never been tempted to subscribe to a monthly box. I found that lots of them tended to have samples you could pick up from your local department store for free. I was happy not parting with my money every month, until I heard about My Little Box. This box of joy started in France and has over 80,000 subscribers over the channel. Luckily for us they now deliver to the UK! Yesterday my first box arrived and I was really excited to see what treats were inside. The great thing about My Little Box is each box has a new theme. Some of the past boxes include a box in conjunction with You Tube star Fleur de Force, a my little cosy box and my little parisienne box. 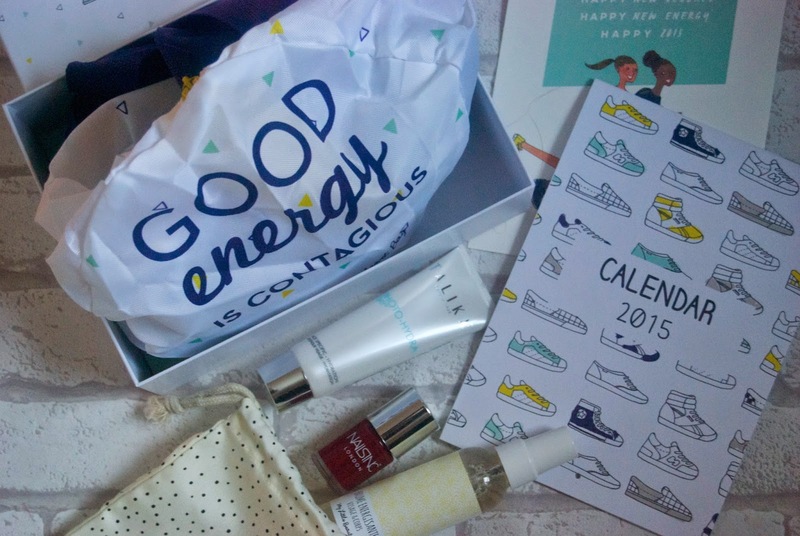 This month, with the new year in mind, I received the My Little Energy Box. 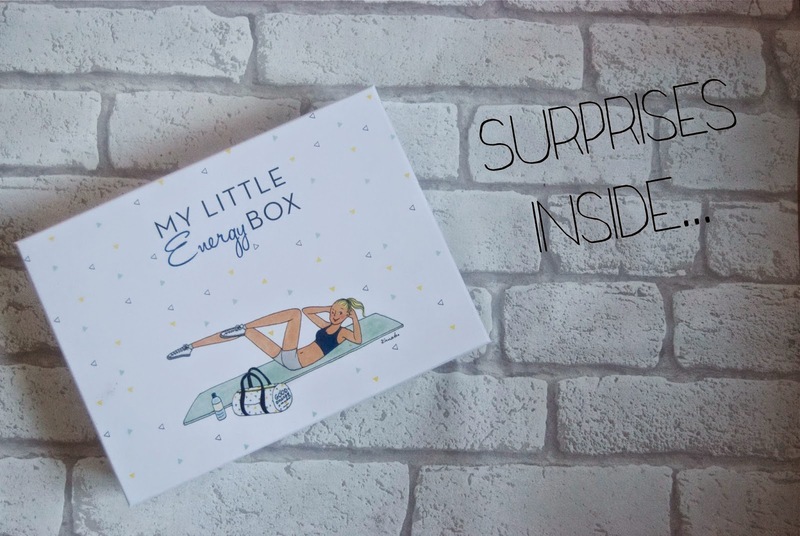 The first thing I opened was the the my little sports bag, it was a feel good message on the side and loads of room for your gym essentials. Maybe this will push me to find another exercise class this year and get in shape. Next out of the box was a cute little postcard, I really love the art work in all of these boxes. The 2015 calendar that comes in the box is really handy, I’ll be hanging this in my office when it’s all finished. Again the calendar is full of the cute little hand drawn pieces of art. Next we have the beauty products, these come in a handy little draw strong bag which I thought was a nice touch. First up we have a full size Nails Inc polish in the colour Tate, worth £11. Of course a box from Paris has to have a classic red inside. I’ll be wearing this on my fingers to cheer me up on those cold winter days. Next out of the bag we have Talika’s Photo-Hydra Day worth a whopping £43.50. This lotion claims to provide instant hydration and it has a snazzy technology which gathers the sun’s energy and turns it into good stuff for your skin! Talika isn’t a brand I’d heard of before so I’m really excited to try this, I’ll report back on how I got on. Lastly we have a product from the My Little Beauty range, the Energising mist. This mist is full of antioxidants, vitamin c and green tea. You can spray this on your face to give it that extra boost and give it an added glow. 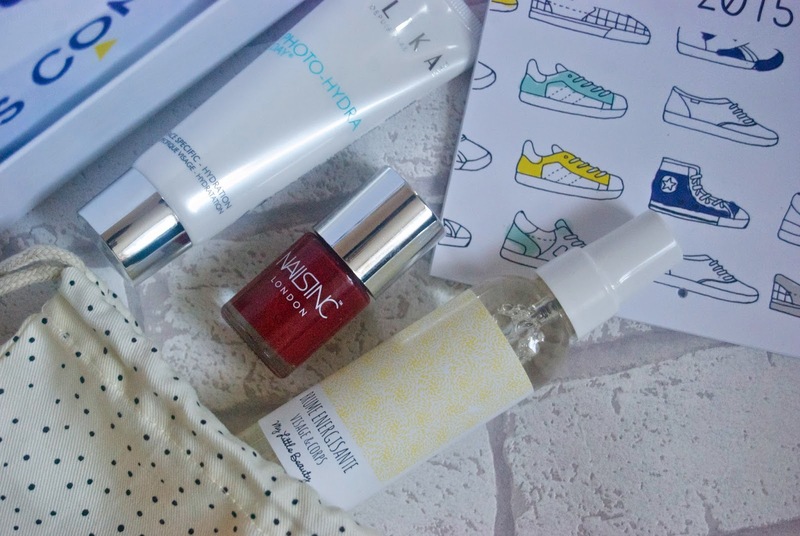 I really recommend subscribing to the My Little Box, it’s something different from your average subscription box. You can tell that a lot of thought goes into the different themes, I can’t wait to receive my next one!